So, after the slightly lack luster take up on Vista and it's well documented failings (!) Microsoft has launched it's new operating system, Windows 7. Having had a chance to try out an early beta I was pleasantly surprised at the speed the system runs at and the styling applied throughout. It's a massive performance improvement on Vista and a stylistic improvement on XP so, a winning combination? 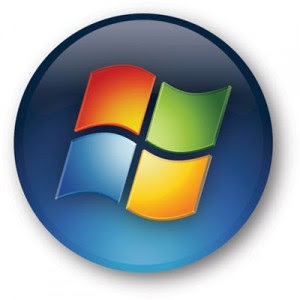 Microsoft are hoping so, as the BBC commented "Should Microsoft rest on its Windows 7 laurels, it might end up being its most, but also its last, successful operating system. " We need to remember that there are now many more operating systems out there than just Windows. Apple are having a revival with hardware sales figures up year on year with the help of the iPhone, iPod & iTunes and let's not forget about Linux for the PC users. As Jim Zemlin, executive director of the Linux Foundation says, "Linux is younger and cheaper than Windows, and we are very patient." This really could be a prime contender for the small business area. Also, very soon on the horizon is the cloud computing option of Google's Chrome OS which could change the way operating systems work completely! It waits to be seen if Windows 7 can replace XP as the preferred PC OS but early indicators do show that daily sales activity is up 180% compared to Vista! Our Digital signage has been implemented!